New to Recycling? Not sure how to start going green? Maybe you’ve ditched the plastic shopping bags, started carrying a reusable water bottle, and bought into the metal straw trend. Now, you’re looking for even more ways to go green. Recycling is a small step that makes a big impact in the fight to save our environment. In just one year alone, Abe’s Trash Service helped keep 35 million pounds of Omaha’s trash out of landfills. We want to help you take an even bigger part in reducing our carbon footprint and keeping recyclable trash out of our streets, landfills, and oceans. That’s why at Abe’s Trash Service, we’ve made recycling convenient, so you can help save the environment without sacrificing your time. If you’re ready to recycle with Abe’s Trash, we’re ready to get you set up. If you’re a current customer, just call us to set it up on your account. We’ll deliver the container to you. 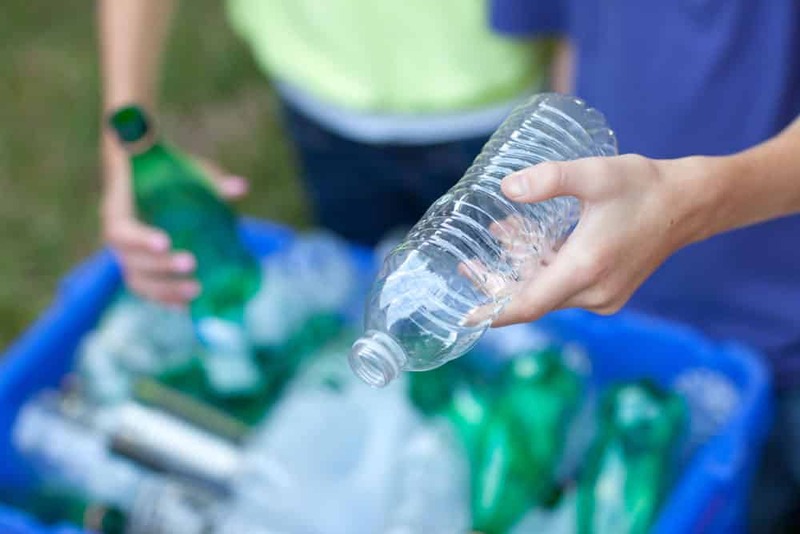 Put all recyclables together in the container; no sorting required! Next, you might be wondering what materials you can recycle with us. We accept a variety of recyclable materials, including cardboard, plastic, paper, aluminum, and tin. For a complete list of what materials we do and do not accept, as well as instructions on how to properly prepare these materials for recycling, visit our recycling page! Go Green and Recycle With Abe’s Trash Service! When you need to recycle, allow Abe’s Trash Service, Inc. to make it easier on you by picking up all of your recyclables. Plastic and cardboard are a few of the items that we recycle. For more information about our recycling services, feel free to call our team today at (402) 671-0568.